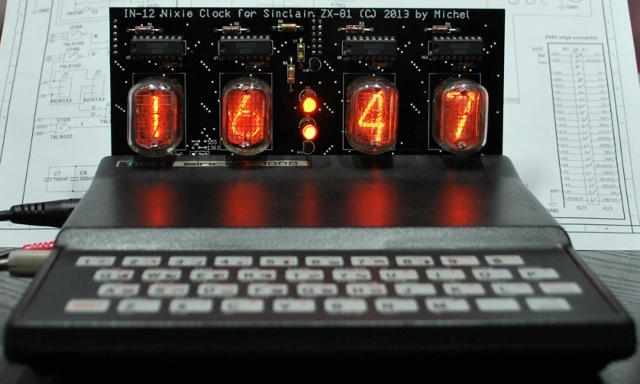 After cleaning out the garage a few weeks ago and stumbling across my good old ZX81 (well, TS1000 really), I thought it would be quite interesting to turn it into a Nixie Clock! I designed it with TTL logic, no SMD components here. It is direct drive using 4 K155ID4 drivers. If there is enough interest, I will offer this clock as a kit.